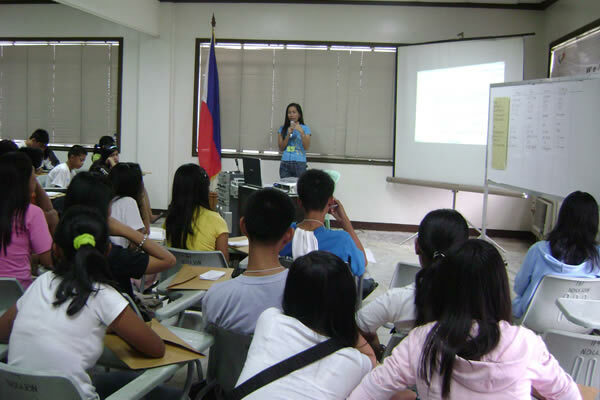 Youth Ecological Camp for Naujan Lake – The Society for the Conservation of Philippine Wetlands, Inc.
Naujan Lake is the fifth largest lake in the Philippines. It is found in the northeast coast of the province of Oriental Mindoro on Mindoro Island; the island is in itself considered a discrete biogeographical region. The lake is 14 kilometers long and 6 kilometers wide and is bounded by the municipalities of Naujan, Pola, Socorro and Victoria. The lake is home to rich ethnic and cultural diversity. The population is composed of the Mangyans, indigenous people of Mindoro, including the Tadyawan tribe in the area of the lake, and the “damuong” or non-Mangyans. Naujan Lake is a wetland known for its rich biodiversity. Protected fish species such as Mugil dussumieri, Caranx sexfasciagus and Lutianus argentimaculojus, and various harvestable species. The lake is an important feeding or wintering ground for large numbers of ducks and other waterbirds such as herons, egrets, terns, rails and bitterns. The rare Amaurornis olivaceous is a resident-breeding species found in the area. The endemic Philippine Crocodile Crocodylus mindorensis, a critically endangered freshwater crocodile, was recorded, but may now be extinct on Mindoro. Naujan Lake is a productive freshwater fishing site. It is also the central feature of Naujan Lake National Park established in 1956, which comprises a 2,175-hectare area of marshes and forest. 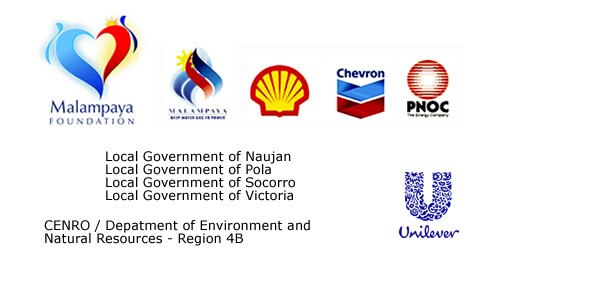 It has been included as one of the initial components of the National Integrated Protected Areas System (NIPAS) pursuant to the NIPAS Act of 1992. The lake is a designated Ramsar Site, a wetland of international importance, because of its biodiversity, its substantial numbers of waterfowls and its critical role in the migratory birds flyway path. However, the increasing human population has put a stress on the natural resources of the lake. Intensive fishing continuously comes in conflict between preserving the National Park for wildlife and development of the area for commercial and subsistence level activities by the local residents. Further, large animals continue to be caught, including the small population of crocodiles. A strategy for promoting stewardship for Naujan Lake is through the informed participation of its young generation. The continued awareness campaign and participation of the youth in Naujan Lake’s watershed can offer a sustainable approach in the conservation of the lakes biodiversity and culture in the years to come. This could create wider partnerships that will complement the management efforts of the communities with the local government units in the watershed. 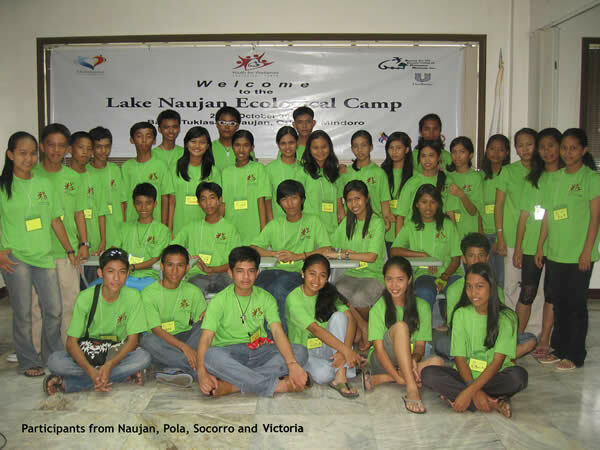 The Youth Ecological Camp for Naujan Lake aimed to make the participants more aware of their important role and stake in environmental protection of the Naujan Lake’s watershed, particularly on lake conservation; enable the participants to identify the environmental concerns in the watershed and come up with doable action plans to address them through their active participation in the lake conservation activities; and enable the participants to come up with a common Vision for Naujan Lake that will guide their future advocacy, conservation projects and continuing stewardship for the lake and its resources.